On March 25, 2019, Turkmen-Estonian political consultations were held in the premises of the Ministry of Foreign Affairs of Turkmenistan. 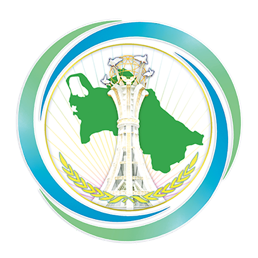 The delegation of the Republic of Estonia, which arrived in Ashgabat on a working visit, was headed by Mr. Lembit Uibo, the General Director of the Political Department of the Ministry of Foreign Affairs of Estonia. At the beginning of the meeting, the sides exchanged greetings and discussed the current state of the Turkmen-Estonian relations. In addition, the parties reviewed the state of the legal base between the two states. Noting the need to intensify bilateral cooperation and, having discussed the possibility of preparing and signing a Program or Plan of Cooperation between the foreign affairs agencies of the two countries, the parties suggested arranging such regular consultations. The parties also noted the importance of intensifying contacts at the high state level, giving impetus to bilateral cooperation. Also during the talks, priority areas of Turkmen diplomacy - transport and energy diplomacy were noted. In this context, the international initiatives of the President of Turkmenistan and the support of the Estonian side were emphasized. In this regard, issues of cooperation between the two countries in the framework of international organizations, in particular the EU and the UN were discussed. After discussing the trade and economic potential, the Turkmen side proposed to consider the possibility of preparing a new draft Agreement on Trade and Economic Cooperation. The parties also paid great attention to cooperation in the field of education. The Estonian side made proposals for cooperation in the fields of agriculture, e-government, and digitalization of the economy. During the talks, issues of cultural and humanitarian cooperation, in particular, the holding of country presentations, exhibitions and cultural events were also discussed. In conclusion, the Turkmen side invited the Estonian side to the First Caspian Economic Forum, which will be held in August this year.